The Livonia Symphony Orchestra was founded on June 4, 1973 as the Oakway Symphony to serve the people of Oakland and Wayne Counties. Is was reincorporated under its present name of the Livonia Symphony Orchestra in 1988 to serve the residents of Livonia and surrounding communities. The Livonia Symphony is a non-profit, 501c3, tax-exempt Michigan corporation. Variety of programming from the classics to Broadway and the best of American popular music. 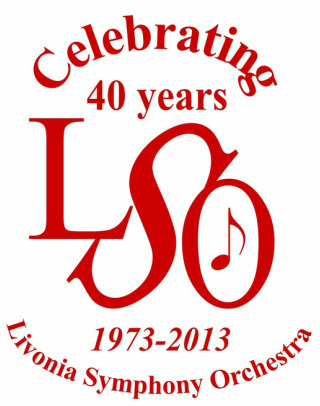 The Livonia symphony Orchestra has been served by only two music directors in its 40 year history... the Founder, Francesco DiBlasi and Maestro Volodymyr Shesiuk who began as a violinist with the orchestra and become Music director and Conductor of the 65 member orchestra, a position he still holds after 20 years. Carl Karoub serves as the Assistant Conductor. To provide a symphony orchestra to serve the people of Livonia and surrounding communities for musical enrichment and enjoyment; provide education and outreach experiences for youth; provide professional growth opportunities for musicians to enhance their artistic excellence.